Home / I need a SOC certified provider. I need a SOC certified provider. Mainstream Technologies is both SOC certified and MSP Cloud Verify certified. The SOC and MSP Cloud Verify Certification audits are similar but serve different purposes. The SOC audit is an auditor to auditor report, while the MSP Cloud Verify Certification is a public report. 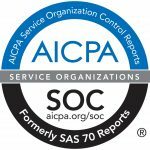 The two reports, for members that complete the MSP Cloud Verify Certification and SOC audits simultaneously, use the same control objectives with the exception of financial health which is not included in the SOC scope. Both audits use nearly identical testing protocols. 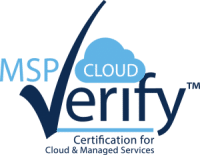 The MSP/Cloud Verify Program offers vendor-agnostic certification for cloud and managed services practitioners worldwide. It provides quality assurance, and a stamp of reliability for current, and potential customers. It was the first certification created specifically for the managed services and cloud industry. Every certification comes with a written report, the entire process is documented, validated and signed by a 3rd party accounting firm. The MSPCV has been reviewed by governmental agencies and regulatory bodies across the globe and is used and accepted in 5 continents around the world. To learn more about the MSPCV, click here, and if you’d like to read a copy of the final report, click here. If you’d like a copy of our SOC report, please give us a call at 800.550.2052 or send us an email.